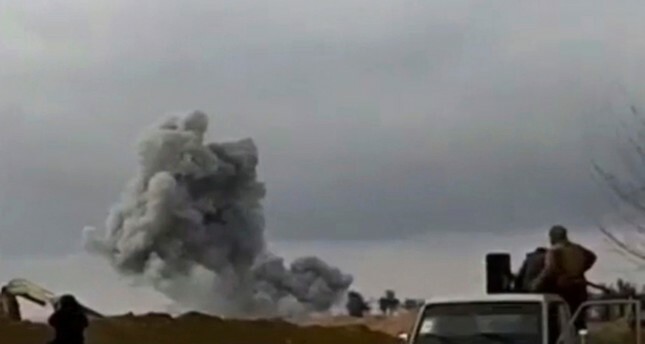 At least 50 civilians, mostly children and women, were killed in U.S.-led coalition airstrikes in Syria's eastern Deir el-Zour province over the past 24 hours, local sources said Tuesday. The attack targeted the Daesh-held Baghouz town in the province, the sources said on condition of anonymity due to security concerns. The U.S.-led international coalition has yet to comment on the report. Last year, the PKK-affiliated People's Protection Units (YPG) terrorist group -- with U.S. assistance -- captured parts of Deir el-Zour's eastern, western and northern outskirts west of the Euphrates. In September, the terrorist group -- with U.S. air support and French support on the ground -- began operations to purge Daesh from Deir el-Zour. Daesh's presence in Deir el-Zour is now limited to the town of Baghouz. Areas west of the Euphrates, meanwhile, remain under the control of Assad regime forces. According to estimates, the YPG, which is the Syrian branch of the PKK, currently occupies roughly one third of Syria's total territory.